An excellent home entertainment system or home theater system must comprise of both quality audio and video components that work together to produce a cinema experience in the comfort of your own home. Hence, a set of high-quality speakers are significantly important. How much do you know about speakers? Perhaps some guide here can give you some basic understanding on speakers. Sound is created when something vibrates or resonates. In the case of a speaker, it is the drive unit, or ‘woofer’. It does this by turning an electrical signal from an amp, into physical movement. At the rear of the speaker is a magnet with another electromagnet inside. When an electrical signal from an amp is passed through, the magnets interact and create rapid movement, allowing the speaker’s drive unit – which is connected to the magnet – to vibrate. This, in turn, creates sound. Speakers fall into two distinct categories: passive and active. Passive speakers, represent the vast majority of conventional types and are generally available in two forms, smaller stand-mount, or ‘bookshelf’ versions, and the taller floor-standing variety. Active models differ by using on-board amplification, such as PC speakers and PA systems fed from a mixing desk. With multi-channel amps offering up to 10.1 channels, the choice can be bewildering. For music listening, stereo is by far the best. For the ultimate home cinema experience, most people plump for a 5.1 channel system, consisting of five passive speakers and an active subwoofer. If you’ve got a really cavernous space, you should ponder a 7.1 system, for an all-encompassing experience. 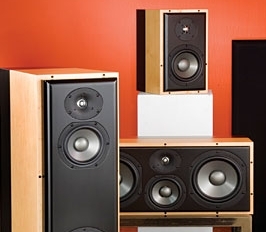 What type of speaker is best for you? That depends on your appetite. Stick to a stand-mount bookshelf speaker if space is tight, but plum for a hulking great floor-stander for a large room if you like to turn it up a bit. Active speakers are less widely available, but mean you can plug in a CD player, or the source without the need to splash out for a separate amplifier. Generally the more you spend the better quality you will receive. Decent hi-fi speakers can cost as little as $300, but for $1,000 you can get a higher quality box with well-designed drive units, and for RM2,000 plus you will get such luxuries as real wood cabinets, classy ‘audiophile’ components, and appealing aesthetics that offer a taste of the high end. A good quality model can last around 20 years. If you want to get the very best from your PC in terms of music and video content, it is worth investing in a small active speaker from a brand with an audio background.